An estimated 6,300 Iowans will die from cancer in 2018, 18 times the number killed in auto accidents, according to a new report released March 6 by the State Health Registry of Iowa, based in the University of Iowa College of Public Health. Lung cancer will continue to be the most common cause of cancer death for both males and females and will be responsible for about 1,640—or about one out of every four—cancer deaths in Iowa, according to Cancer in Iowa: 2018. The annual report also projects an estimated 17,800 new cancers will be diagnosed among Iowa residents this year. Breast cancer will remain the most common type of cancer diagnosed among females, while prostate cancer will remain the most common type among males. Click the table to enlarge image. Researchers also are not seeing the anticipated decrease in lung cancer cases. According to Charlton, this likely reflects the fact that smoking rates in Iowa are no longer declining at the rate they were a decade ago. The report, based on data from the Iowa Cancer Registry and the Iowa Department of Public Health, is available online in the “Publications” section of the registry’s website, or by calling the registry at 319-335-8609. 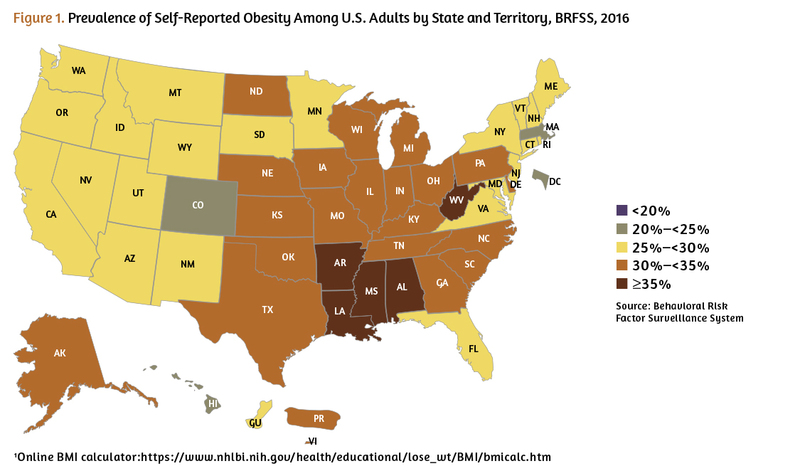 The report includes county-by-county statistics, summaries of new research projects, and a special section focused on obesity-related cancer. While most Americans are aware that obesity increases the risk for numerous health problems, including heart disease, stroke, and diabetes, only half of Americans are aware that obesity is a major risk factor for cancer. According to the report, scientific evidence exists linking excess body weight to higher risk of several types of cancer, including colorectal, thyroid, uterine, ovarian, esophageal adenocarcinoma, kidney, pancreatic, liver, gastric (cardia), gallbladder, postmenopausal breast, malignant meningioma, and multiple myeloma. 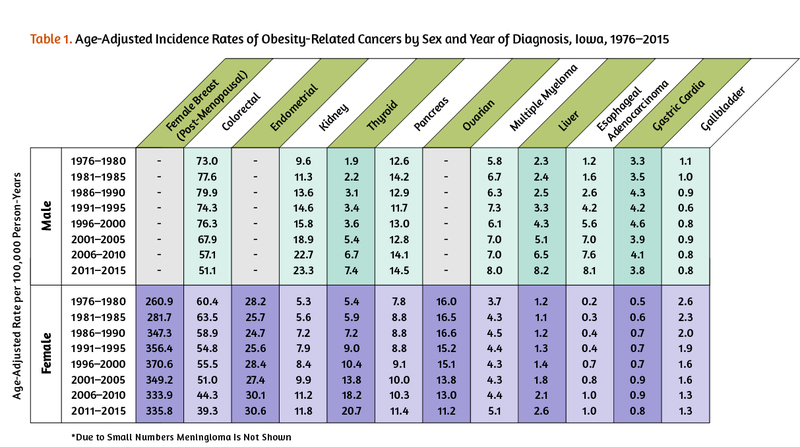 This is not meant to imply that all cases of these cancers are caused by obesity. The exact explanation for the relationship between obesity and cancer risk remains unclear, but it is known that fat tissue is highly active, producing large amounts of hormones like estrogen, insulin, and insulin-like growth factors. High levels of these hormones have been linked to certain types of cancer. The State Health Registry of Iowa has been gathering cancer incidence and follow-up data for the state since 1973. A press conference discussing the 2018 report is available for viewing on the College of Public Health’s Facebook page.